Old North Church (where the rebels sent the signal to Paul Revere to rally the militia). There's plenty to explore besides historic sites, however. The history-soaked (albeit more modern history) Fenway Park hosts the much-esteemed Boston Red Sox. Travelers to the city also love the North End, the city's Little Italy, where the narrow streets are filled with exquisite Italian restaurants and shops. Boston’s seafood is another point of pride, with eateries like Neptune Oyster serving some of the best in the country. Hotels are numerous and are located primarily downtown or in the Back Bay neighborhood. With a deep sense of history and direction, Boston is one of the favorite vacation destinations in the United States. Boston is a great city full of American history which is easily walkable and ideal for families. So much to see and do in the city of Boston. Located a little over an hour from the camp this is a great day trip. Visit the Boston Aquarium or Museum of Science, lunch on the Commons, shop on Beacon Street or a visit to old Ironsides, a colonial ship located in Boston Harbor. If you aren't from the northeast I would highly suggest this day trip. Fall wears different outfits in different cities. In Boston, fall is full of vibrant colors, especially after some fresh and gentle rain. 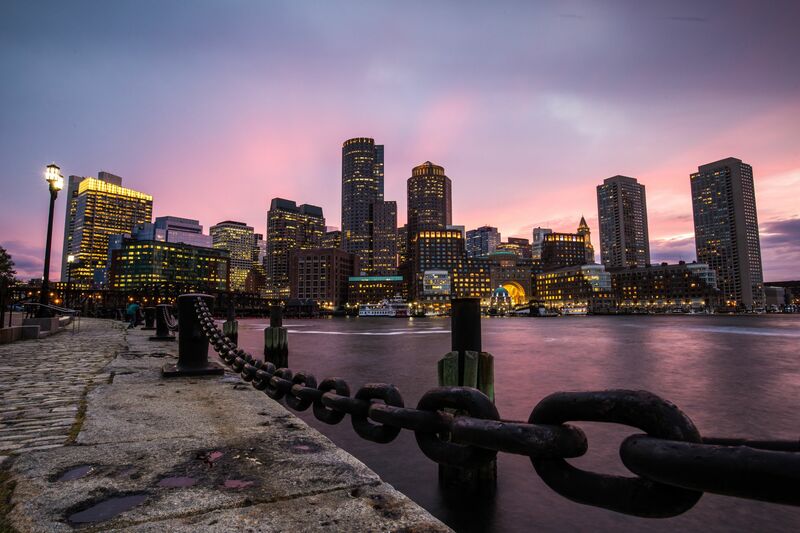 Boston has so much to offer, from history to culture to food. The best time to visit in definitely September and October! Boston is a winderful city. Tons of things to do and see. Great artsy atmosphere. Boston proved a nice place to visit and one of the ubiquitous tours might be a good way to get an overview. There's lots of great restaurants and shops for any budget and no shortage of things to see and do. Boston is a fun walkable city to bop around. First things first... A "hot" lobster roll is usually served warm with butter and a "cold" lobster roll is usually served chilled with mayo. Definitely get a legit Boston Cream donut while you're here and don't miss Boston Public Market (it's way cooler than touristy Faneuil Hall). Sailing out on the water is a great way to get your bearings. Boston is small, easily walkable city with cute neighborhoods like charming Beacon Hill and the authentic Italian quarter, the North End. There's lots of historical sights; don't miss the Freedom Trail with an easy red brick trail that leads you through the city to the sights. Plus, there's lots of great food. It's very pretty too. Be sure to stroll through Boston Common and along Charles River. Charles River Sunset Cruise / There’s no better way to see Boston’s highlights than by cruising Boston Harbor and the famous Charles River on a Sailo private boat. Besides for an amazing view of the Boston and Cambridge skyline during day or at sunset, you will also see the esplanade park as well as many of the city’s prestigious colleges, including Harvard, MIT, Boston University. DOWNLOADED UBER and get $20 off your first uber ride put in BEACONS for promo code.